I think this is my first fungi recipe of the year with puffballs appearing in early July to November. There are lots of puff-ball species, the most spectalular being the giant puff-ball (Langermannia gigantea) which is fairly uncommon and probably the best tasting. 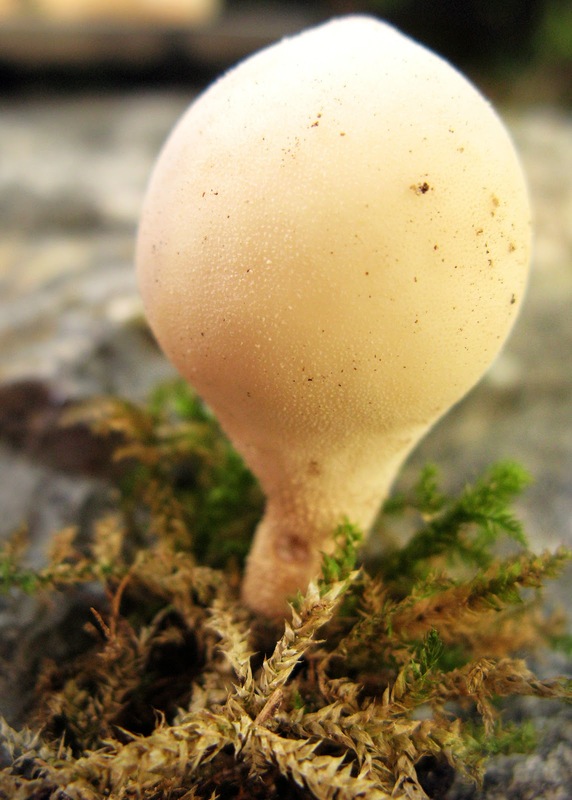 All puffballs in Britain can be eaten and none are really poisonous, but they can sometimes be confused with earth-balls (Scleroderma citrinum) which are not edible. If you slice a earth-ball you can see the dark spores in the middle. You can only eat puffballs when they are young and without the spore development inside, if you slice a puffball with a knife and it is beginning to yellow, discard them. The sliced puffball should be all white inside. The species I've used in this recipe is Lycoperdon perlatum (common puffball) which is fairly common and grows in clumps in wooodlands (usually between 5 and 10 cm in height). Puffballs are especially suited for quick frying (which I have done here) and can also be dried. 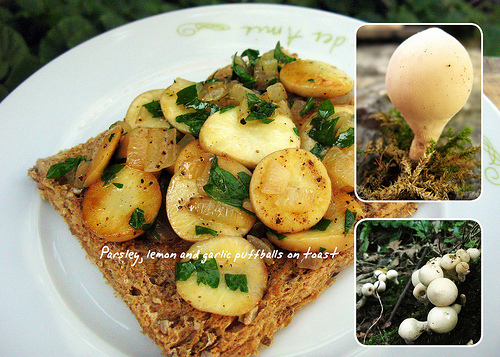 Ingredients: shallots, garlic, lemon juice, white wine, butter, parsley, young puffballs.